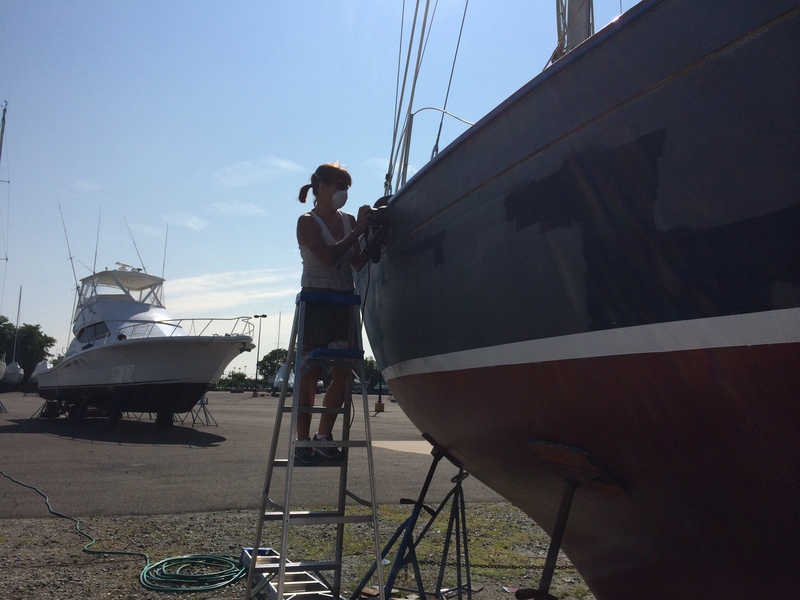 As I have been working on the cosmetic fixes on the boat, a few movie lines started drifting through my brain. The first line is a take from Apocalypse Now – ‘I love the smell of Napalm in the morning’ but in my case, it is the smell of Brightside Paint! If you know anything about polyurethane paints, the fumes are heavy duty. In fact, the hazard warning states: Danger to the brain! 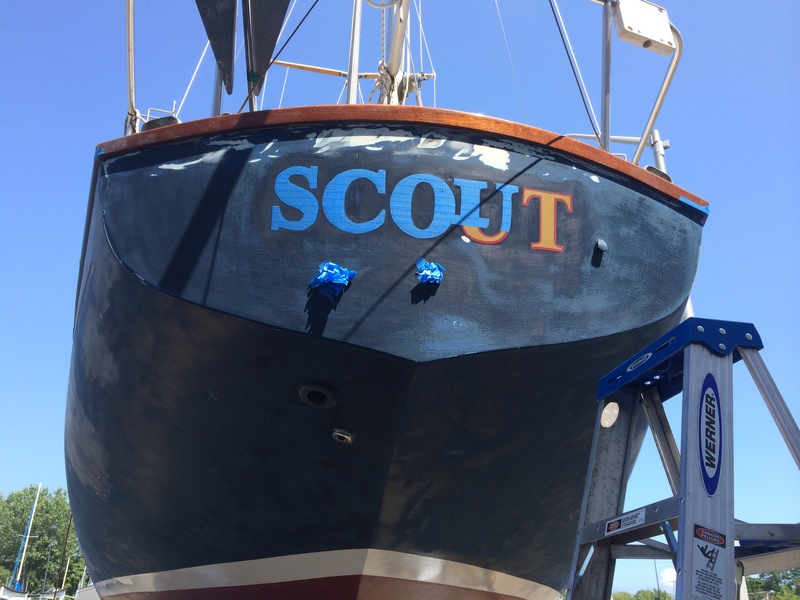 I have spent a lot of time with this paint in white, and over the next 3 days, I will be using the Flag Blue color on the topsides of Scout, hopefully when I am done, I will still be able to think straight! An of course, the other movie line is from The Karate Kid – ‘Wax on, Wax off’. 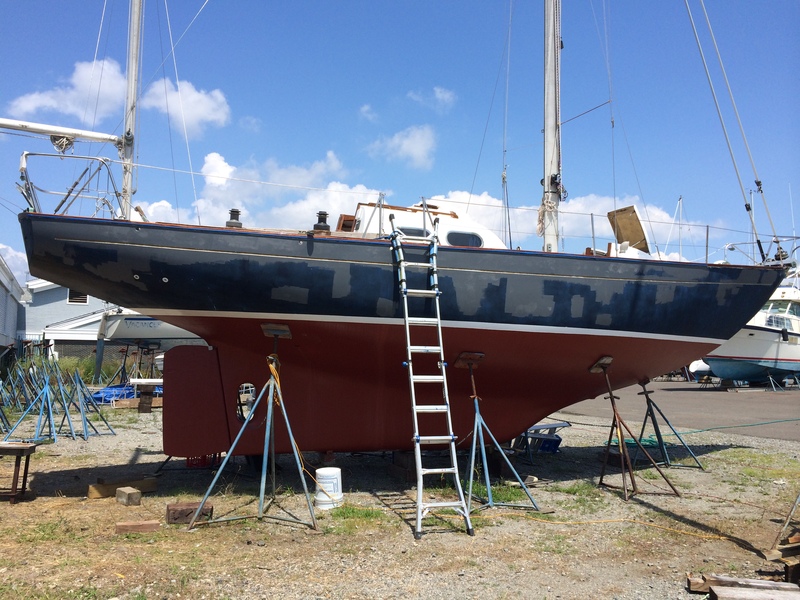 I spent 4 hours yesterday morning sanding the topsides to prep for the blue paint. I realize I got to use an electric sander instead of hand sand, but my arms are still shaking from the work. 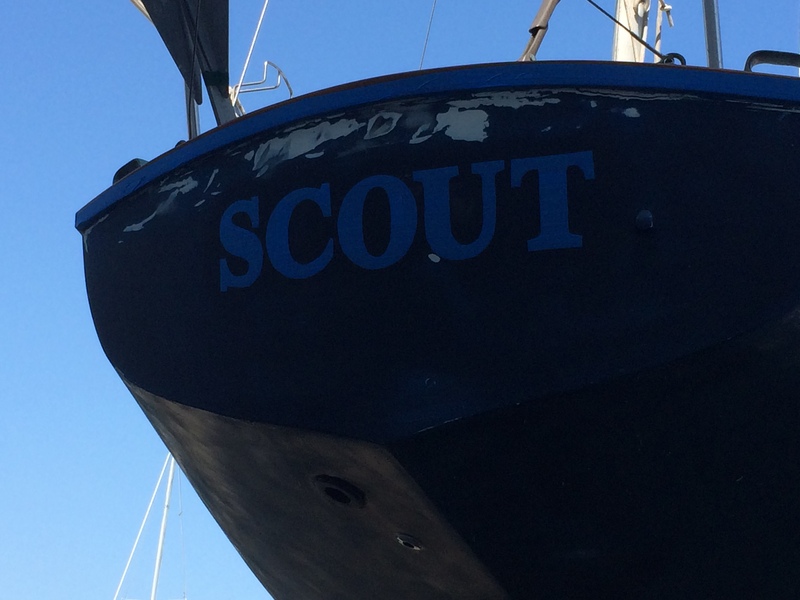 I needed to figure out how to save some money in regards to Scout’s name on the transom. 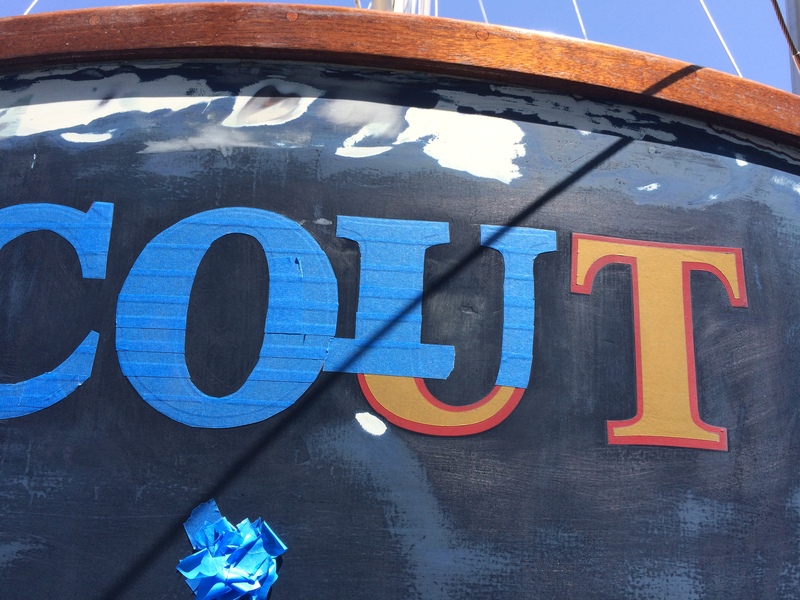 If I took the letters off and paid to replace, that would be about another $200+ but I decided to tape them off for protection and try to paint over them – we shall see. May regret it or may have just been very thrifty. I guess we will know by this weekend when this project should be complete.